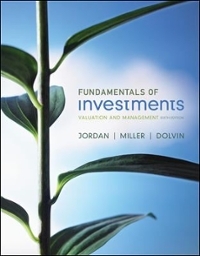 Fundamentals of Investments 6 Edition Fundamentals of Investments focuses on students as investment managers, giving them information to act on by placing theory and research in the proper context. The text offers strong, consistent pedagogy, including a balanced, unified treatment of the four main types of financial investments: stocks, bonds, options, and futures. Topics are organized in a way that makes them easy to apply—whether to a portfolio simulation or to real life—and supported with hands-on activities.